Monitor vehicle access and record essential security information. 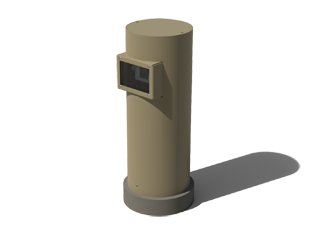 The Camera Bollard is a low maintenance, tamper resistant solution for safely housing a low mounted security camera. Easy capturing of vehicle license plates at entry points of parking lots and toll booths. Powder Coated finish available in a variety of colors. Adjustable mount accommodates cameras of various sizes. The inner frame utilizes a flush mount design with three anchors to fasten in place to a concrete base. 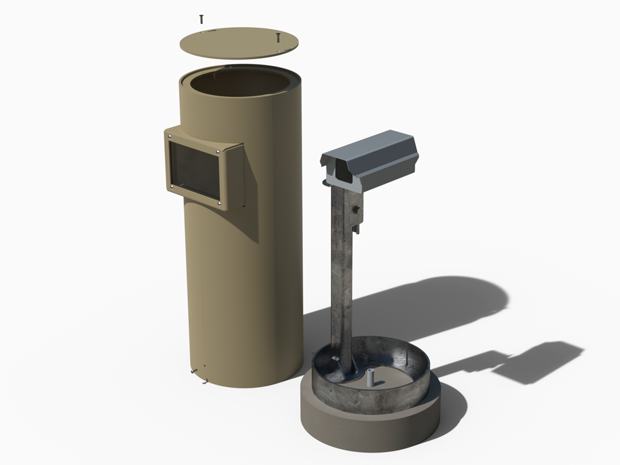 The outer bollard attaches to the inner frame with tamper resistant screws, allowing for easy access to the camera by authorized individuals when necessary. Questions about Camera Bollards from Apex?